We present a wide selection of science days and workshops for everyone. Science days start with a show for everyone on ‘Science with Wow’! 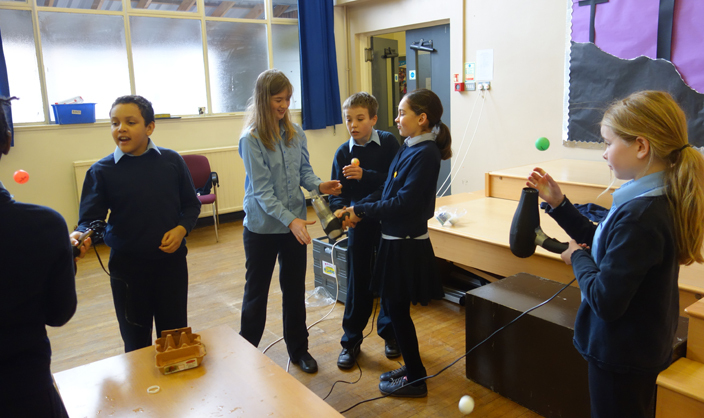 Then we run workshops for groups on a fun science subject appropriate to the audience. All participants make and take home something relevant to the topic. The day ends with a finale with firing water rockets, if space and weather permits. The sessions are a mixture of demonstrations by the presenter and hands-on activities. There is no special equipment used, all of the experiments can be easily reproduced at home. Sessions are designed for all age groups from reception class and up. We cover topics from across the science curriculum including ‘The Body’, ‘The World and The Environment’, ‘Physical Processes’ and ‘Materials’. Science day sessions are from 30 to 60 minutes. 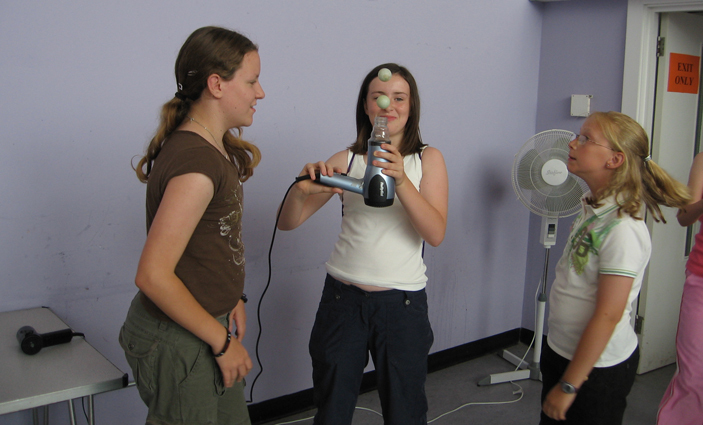 We also offer staff workshops that give all members of staff training in presenting science with fun. 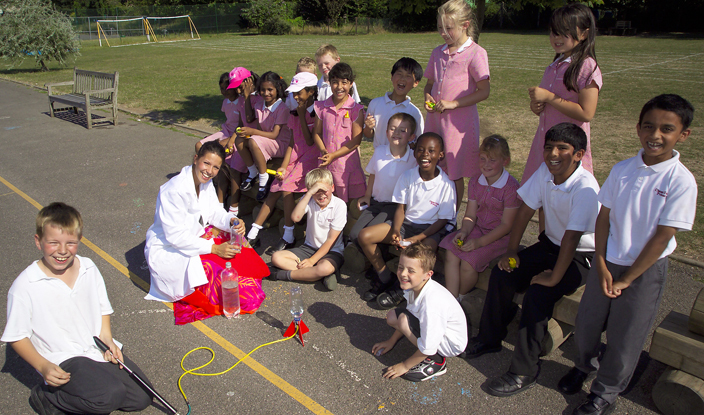 Staff workshops can be used to produce material for a school Science Week. 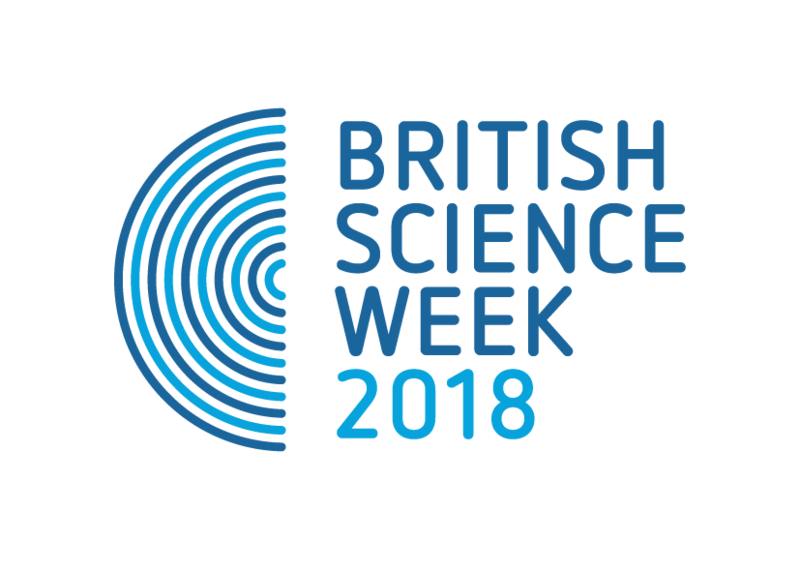 Science Week 2018 was an amazing success! 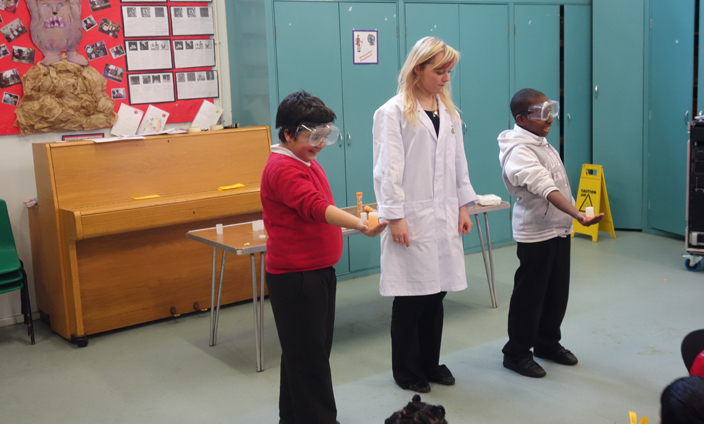 We visited over 40 schools and amazed over 10,000 pupils with our engaging and thought provoking experiments. It was a great week (well, 10 days actually) of amazing science based fun and learning! We’ll start planning for Science Week 2019 soon! If you’ve got a particular topic you’d like us to cover then just let us know. We’ll liaise with you before the workshop to make sure everything runs smoothly and, most of all, that the kids have fun! 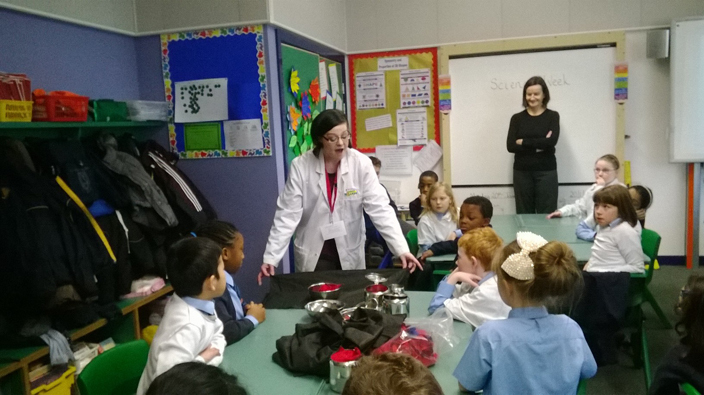 Don’t forget that we get very booked up during Science Week – be sure to Call Us or Send an Enquiry well in advance! 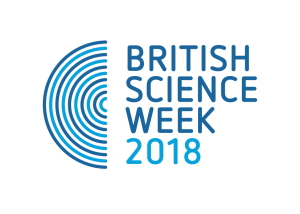 Make your Science Week a Wow!!! 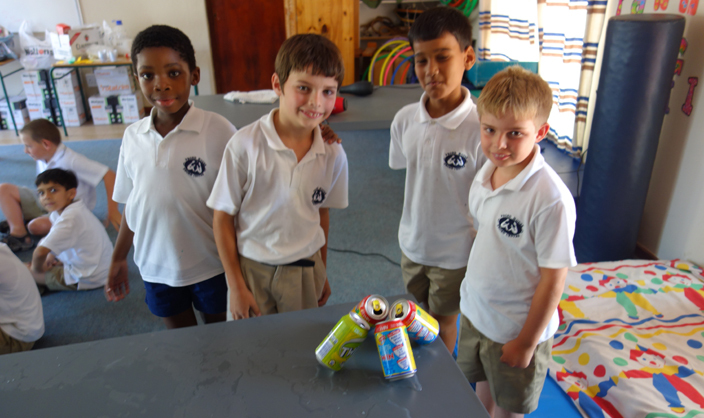 A Science Assembly presented by Science Wizards is a great way to ignite an interest in Science while still having fun. 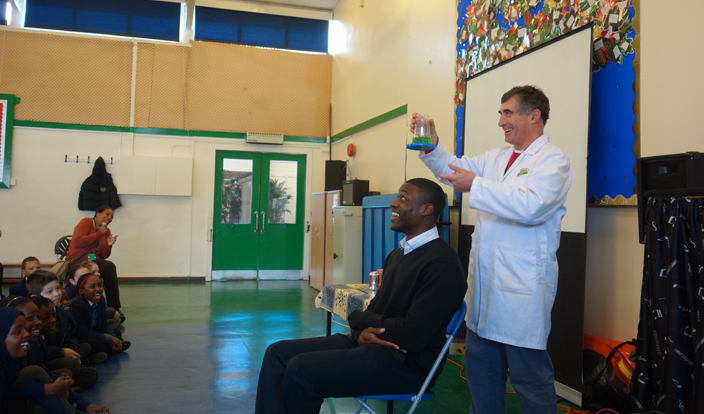 Typically, our Science Assemblies last up to 1 hour and are delivered to the entire school. For Key Stage 1 children the Assembly is normally around 40 to 45 minutes, with Key Stage 2 children having around 45 minutes to 1 hour. Although they don’t provide the opportunity for the children to take part themselves in the experiments, the Science Assembly aims to leave children with a curiosity to find out more about the topics we have covered. They’ll certainly leave with a smile on their face! The best way to get children fully involved in Science is to let them loose with simple but inspiring activities and experiments, all in a controlled environment. Working in small groups within their class, they’ll follow simple step-by-step instructions in order to perform the activity or experiment. Smiles are included free! We find that most workshops last for around 30 to 45 minutes and the children get to perform around four to six activities, depending on class size. We will invoice the school a month before the event. We ask for a cheque is ready on the day. At what time should we expect the Scientist to arrive? Do we need to provide helpers? We occasionally have last minute availability! Call Beth to Book on 08456 521215 or click on the Enquiry tab to find out if we have your dates available.